Overlooking the Port, the Piazza Mercantile is popular among tourists for its nightlife. Lined with cafes and clubs and pubs, there is something to please everyone. Faces the Sedile, HQ of the Council of Nobles of Bari. Colonna Della Giustizia in the northeast corner, where debtors were whipped for not paying on time. Open 24 hours, but the shops and the cafes generally run through 08:00 am to 01:00 am. How popular is Piazza Mercantile? 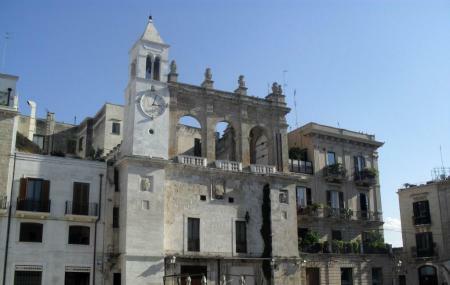 People normally club together Basilica San Nicola and Castello Normanno - Svevo while planning their visit to Piazza Mercantile.